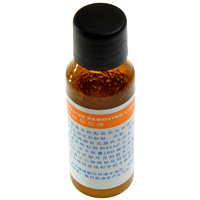 Liquid glue remover processor BGA IC 30ml JEC is a liquid that removes the glue of chip BGA. The fluid leaves no air raids on the board and is harmless to the laminate. The product has good penetrating power. It does not damage the circuit PCB and its components, and leaves no air raids. Just cover the glue liquid and wait. Depending on the type of adhesive used this time can vary. Printer AG an agent for cleaning printing mechanisms in printers (mechanisms feeding paper, printing head drive components etc. ), cleans print heads in needle printers, it does not react with plastics used in printers. 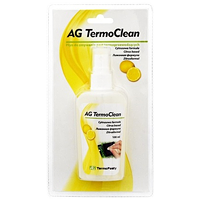 AG TermoClean - 100ml is safe and easy to use a citrus based slovent. Used to remove old, worm-therrmally conductive pastes. Removes old worn-therrmally conductive pastes. 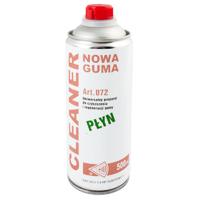 Cleaner NEW RUBBER 500ml is cleaner, regeneration and maintenance of all kinds of rubber with immediate effect. It regenerates and refines gum repeatedly increasing its lifetime. Regular use restores the original properties of the rubber depriving it of dirt, dust, paper pulp, etc. 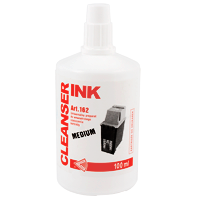 Cleanser Ink Medium 100ml is a special liquid cartridges unclogging all types of inkjet printers on the use of internal and external. The unique formulation dissolves residual ink, which ensures the highest efficiency of printing. 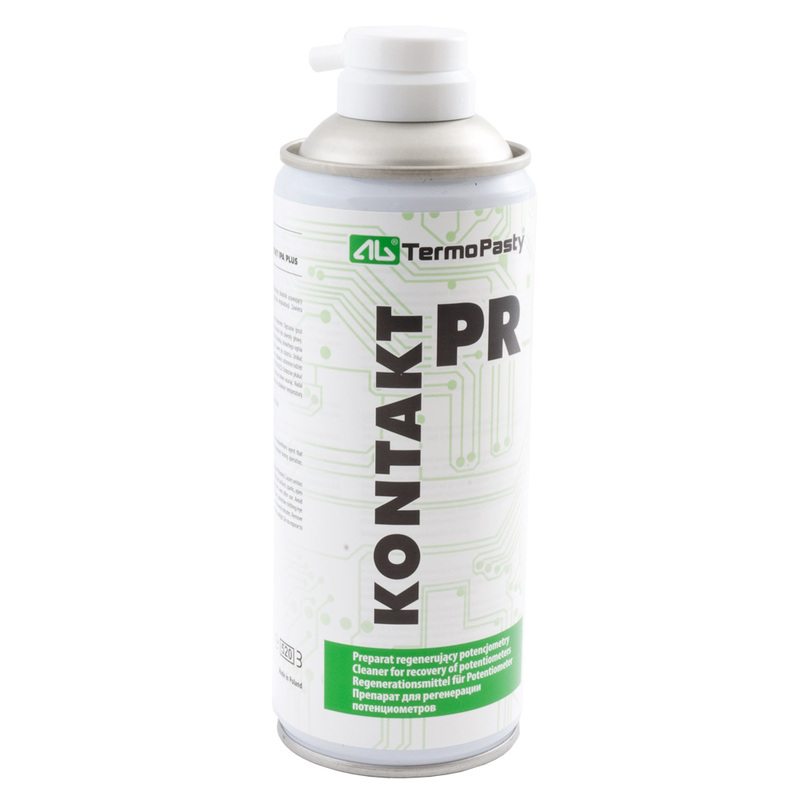 Contact PR 400ml spray with a brush (Spray) is ideal for removing any debris deposited during the operation of equipment. The product contains a special lubricant ensuring proper slip. 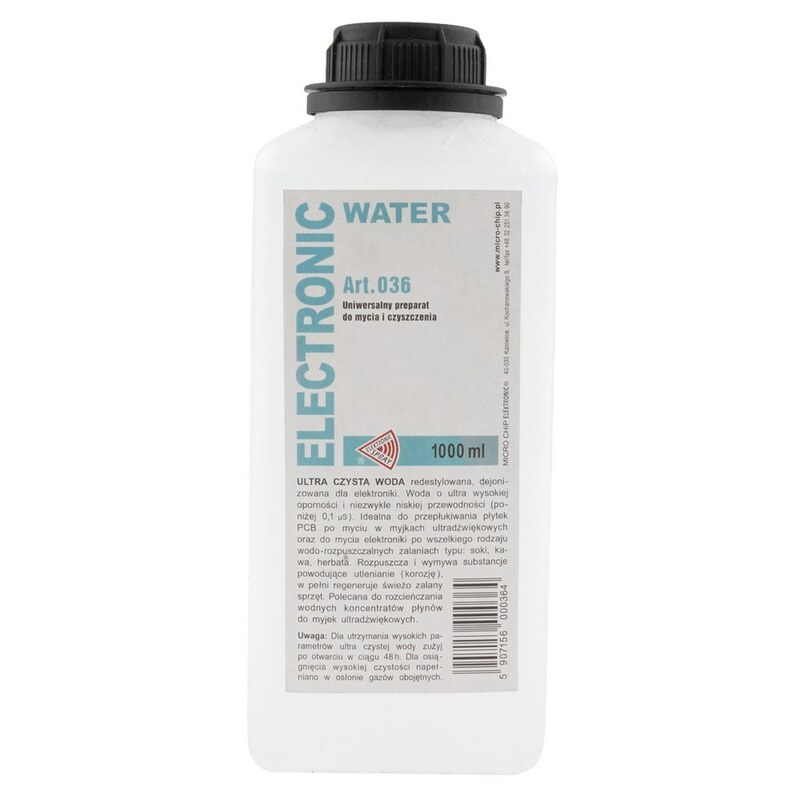 Electronic Water 1000ml is water with ultra high resistance and extremely low conductivity (below 0.1 uS). Ideal for rinsing PCBs after washing in ultrasonic washers and for washing electronics for all kinds of water-soluble sprays such as juices, coffee, tea. It dissolves and cleans oxidising substances (corrosion), completely regenerates freshly flooded equipment. Recommended for diluting aqueous concentrates of ultrasonic cleaning fluids. Frezze - areosol 300ml A cooling preparation used to find failures with thermal method, provides quick cooling down to the temperature of –67Â°C, by proper usage it allows us to locally cool down assemblies, the preparation is perfectly suitable for finding “cold solderings”, microcrashes of circuits in PCBs, can be used to test thermostats, thermistors, varistors and other assemblies operating at variable temperatures, chemically pure, non-toxic and neutral to majority of materials. 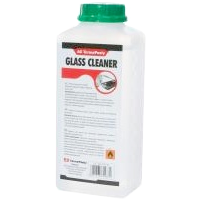 Glass Cleaner - 1L efficient foam for cleaning all plastic surfaces (computer monitor casings, TV sets, window frames, computer equipment, etc. ), removes dust, fingerprints, stains, fat, nicotine sediments etc. leaves no streaks. 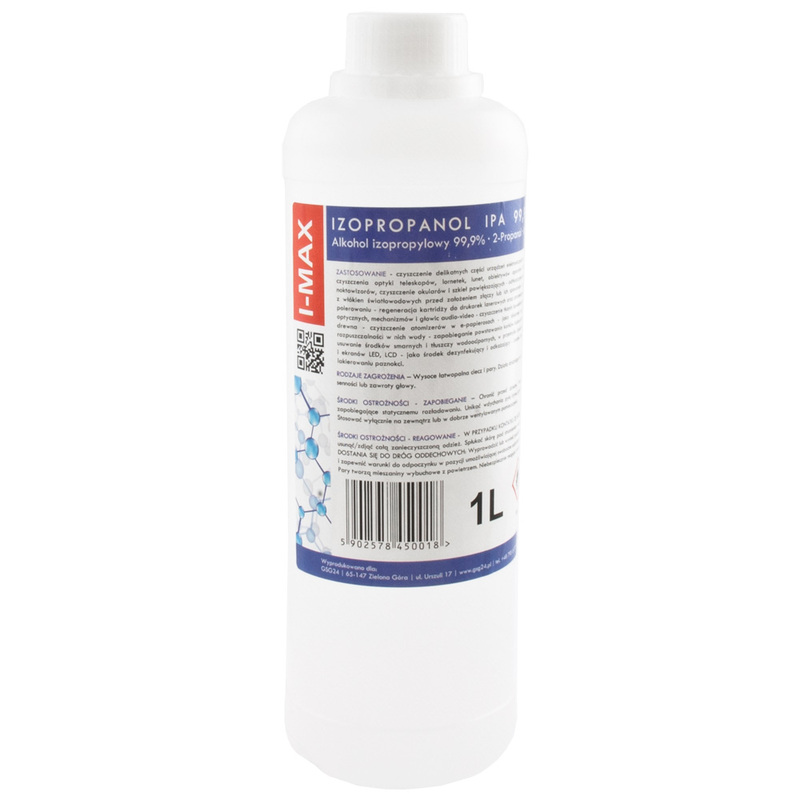 I-MAX IPA 99,9% fluid for Ultrasonic unit 1L it's 99.9% isopropyl alcohol for cleaning devices. It has excellent cleaning properties, successfully removes grease, grease and other impurities. It evaporates quickly from cleaned surfaces and does not leave any traces. Isopropanol is chemically neutral towards materials commonly used in electronics and electromechanics. Perfectly suited as an ultrasonic cleaner. 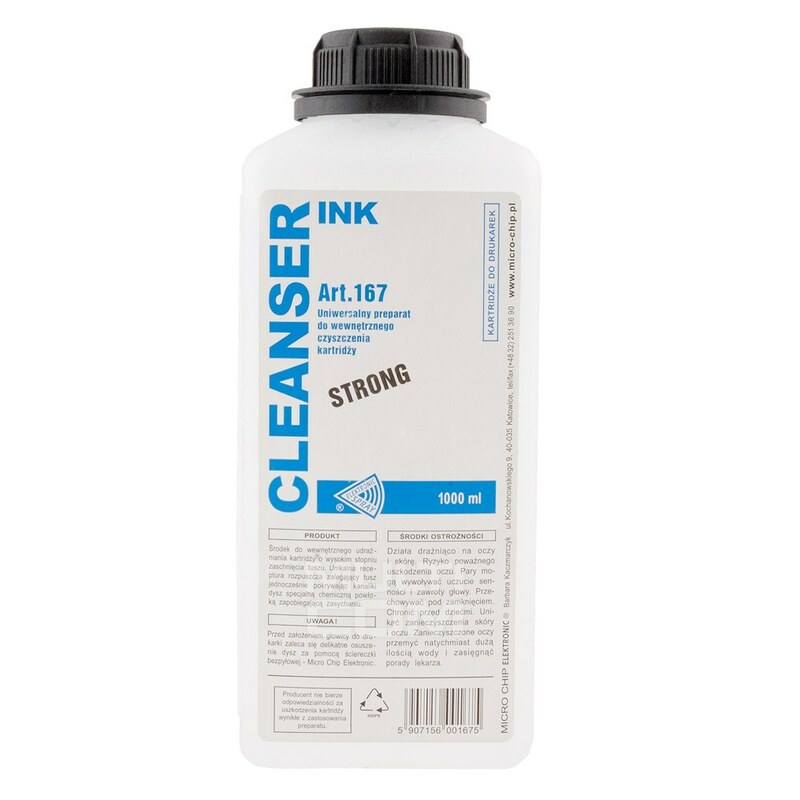 Ink Cleanser 1000ml Strong is a special liquid for unclogging all types of inkjet cartridges from printers. The unique formulation dissolves residual ink, which ensures the highest efficiency of printing. 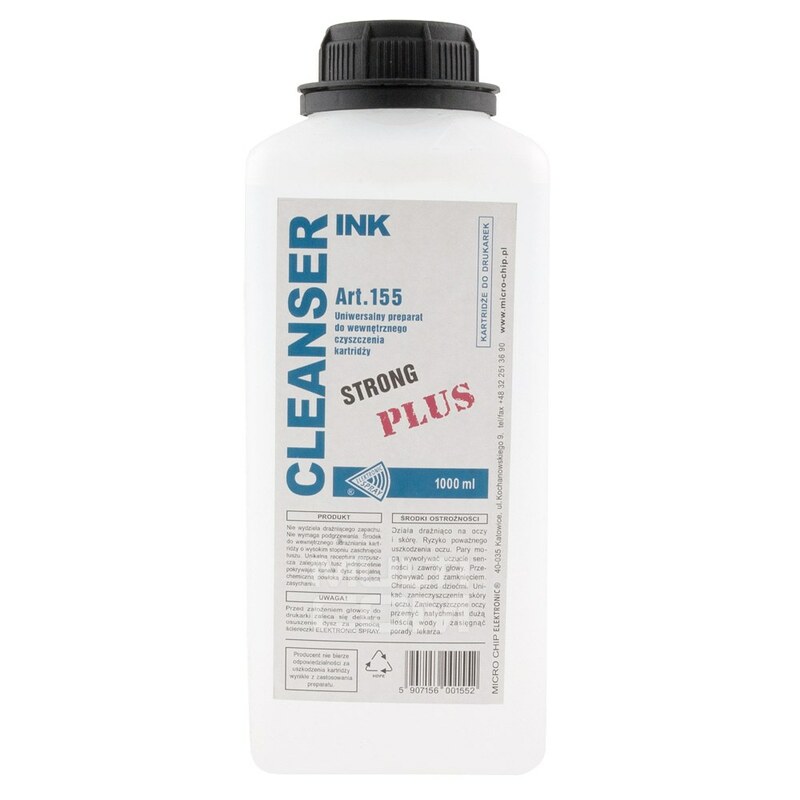 Ink Cleanser 1000ml Strong Plus is a special liquid for unclogging all types of inkjet cartridges printers. The unique formulation dissolves residual ink, which ensures the highest efficiency of printing. 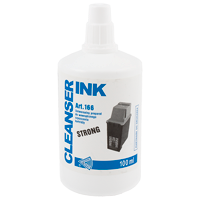 Ink Cleanser 100ml Strong is a special liquid for unclogging all types of inkjet cartridges from printers. The unique formulation dissolves residual ink, which ensures the highest efficiency of printing. 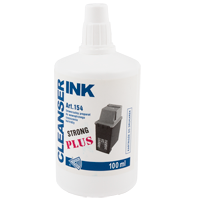 Ink Cleanser 100ml Strong Plus is a special liquid for unclogging all types of inkjet cartridges printers. The unique formulation dissolves residual ink, which ensures the highest efficiency of printing. 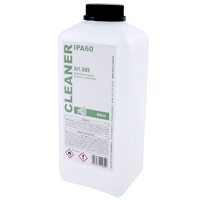 IPA Cleaner 60- 1L is a preparation of first aid after the flooding electronics. Removes harmful residues Coke, juices, tea, coffee, milk, beer, water, etc. It reduces the consumption of 100% isopropyl alcohol, and thus the cost of repairs. The use of cleaner IPA 60 immediately after the flooding significantly increases the success of repair, and in some cases repair may prove to be unnecessary. The product is recommended for ultrasonic cleaners - the desired effect can be achieved already when heated to a temperature of 20C.